This beautiful two-bedroom, two full bathroom unit is at located the Regatta Riverview, a full-service building with 24-hour concierge and elevator service. Highlights include a kitchen with granite countertops, stainless-steel appliances, and a breakfast countertop; an open plan living room Â? 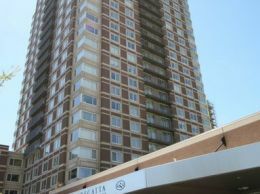 excellent for entertaining; updated marble-appointed bathrooms; hardwood floors; and in-unit laundry. The association is professionally managed and luxury building amenities include valet parking service, gym, year-round swimming pool, hot tub, business center, social lounge, and movie theater room. 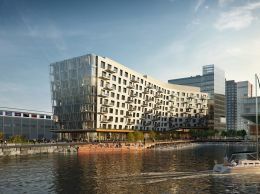 Great proximity to the Galleria Mall, restaurants, Charles River, Whole foods, free shuttle service to North Station and Kendall Square, and minutes from the Green Line. The information in this listing was gathered from third party resources including the seller and public records. Listing information provided courtesy of Amy Chen of Hammond Residential Real Estate. MLS Property Information Network, Inc. and its subscribers disclaim any and all representations or warranties as to the accuracy of this information.